Since I started Berks County Eats as a part-time hobby in 2012, I have only had two dinners that didn’t live up to my expectations. 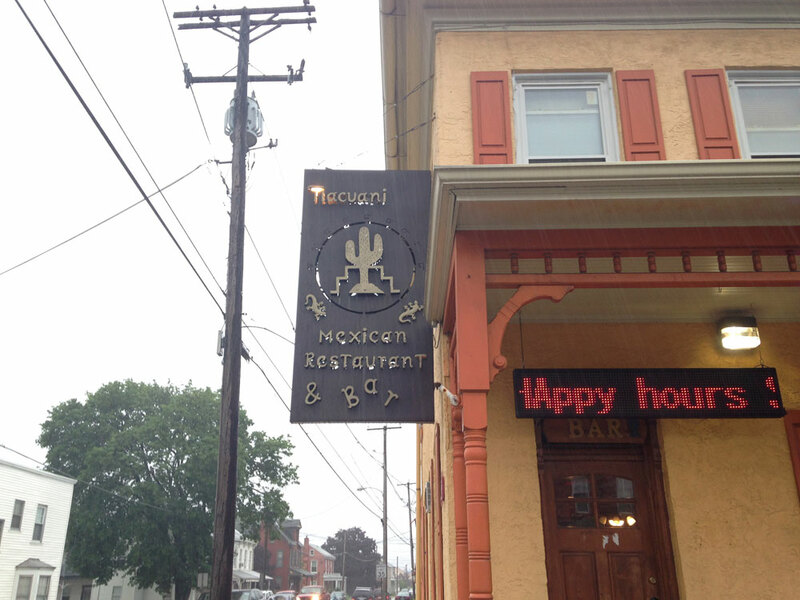 One of those was La Cocina Mexicana in Kutztown. It was one of my earliest reviews, and one of the most disappointing, with food that our party of four all found to be bland and tasteless, the complete opposite of what Mexican food should be. The Kutztown location was one of two locations for the restaurant, the other in Temple at the corner of Kutztown Rd and Mount Laurel Ave. In 2013, La Cocina’s Temple location rebranded, changing its name to Tlacuani Mexican Restaurant and Grill. I was always confident that the Temple location would not disappoint, but the memory of the Kutztown meal kept me away until recently, when I made my first trip to Tlacuani. Tlacuani literally means “someone who eats things” or “glutton” in the Aztec language of Nahautl (thank you Google Books search). That suits me just fine because if the food’s good, I have no problem being a glutton when I go out to eat. The dining room is vibrant. Some would call it gaudy. 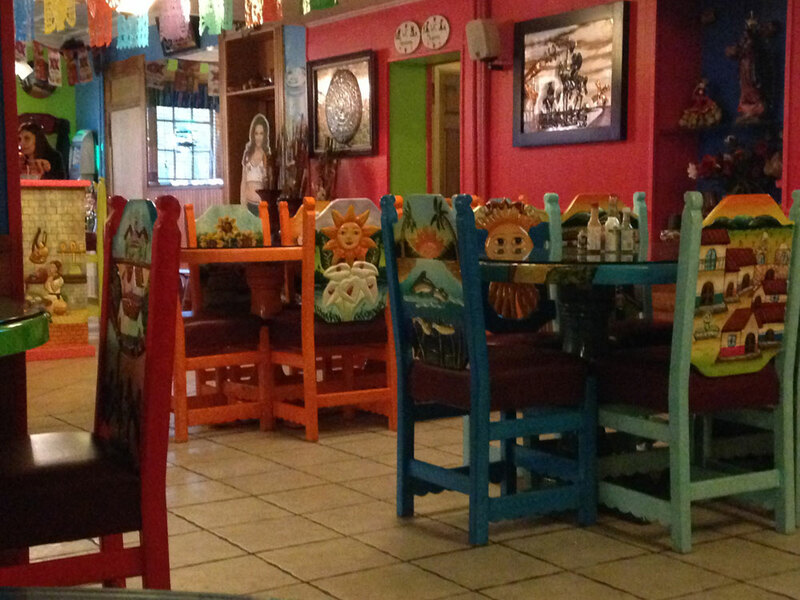 The tables, each one carved with a scene of life in Mexico, are painted in bright colors with matching chairs. Shades of orange, blue, red, green and pink pop against the off-white tile floor. Our six-person table, which felt empty with just the two of us, had a scene set outside an old adobe building. 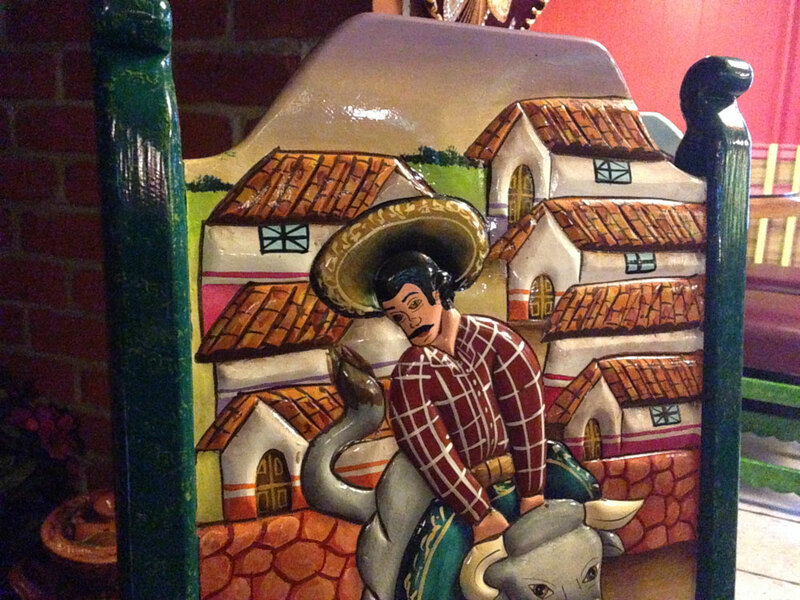 The sides and all of the chairs were painted green, with alternating scenes of rural towns and a man riding a ox. 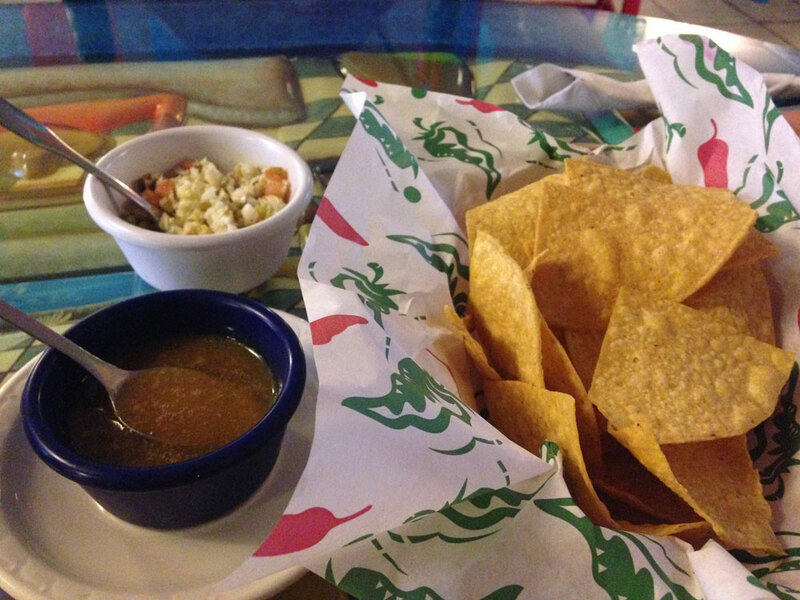 Like many Mexican restaurants, the meal began with free chips and salsa, but Tlacuani’s was unlike any we had tried before. The salsa was not the standard red tomato mixture. Instead, there were two options: a slaw-like mixture with green chilies mixed in, and a green syrup-like sauce. Both packed a serious punch and had us refilling our drinks before we had got through half of our chips. Any worries we had about our meal being bland were quickly thrown out the window. Tlacuani offers a more varied menu than some other Mexican restaurants we have tried before. Sure, there are plenty of options for enchiladas, burritos and tacos, but there seemed to be more entree options, or at least more than appealed to me, including the chiles en nogada. 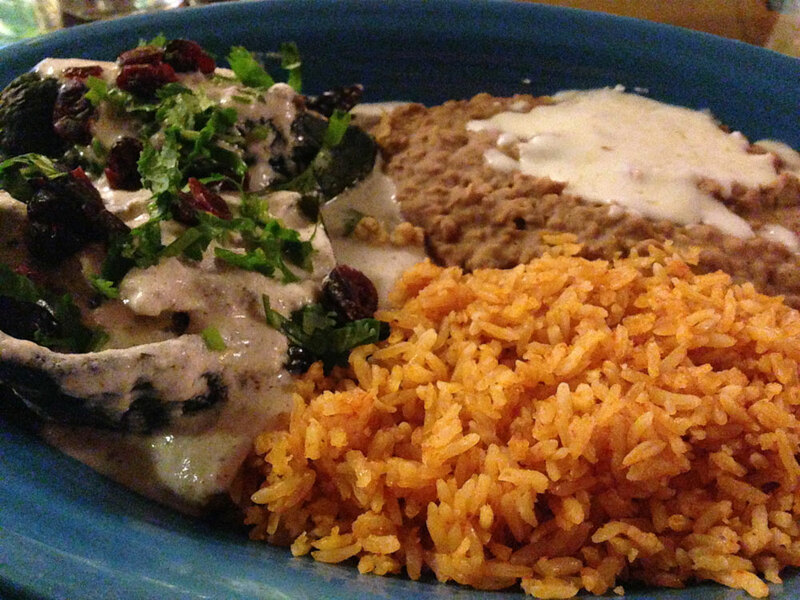 Two stuffed poblano peppers arrived, each one stuffed with a mixture of steak, pork, almonds and fruit, topped with white sauce and dried cranberries, and served with four tortillas. The peppers easily peeled apart into strips that laid nicely on my shells. I piled on the filling (and rice and beans for good measure) and dug in. It was love at first bite. Poblanos are on the mild end of the heat spectrum, but that was enough spice to cut through the sweetness of the filling. The sauce was delicious, and though simple, the dried cranberries were a pleasant surprise every time I found one on my fork. Sopes were another dish that I had not seen before. Perhaps I’ve skimmed over it in other places, but Julie spotted it on the menu at Tlacuani and decided to order it. The description was rather vague, only saying that there would be two soft corn sopes topped with choice of meat, with beans, lettuce, tomatoes and cheese, but no mention of what a sope is. I blame my ignorance on the Pennsylvania Dutch in me. It turns out that sopes are little corn pockets that look like hollowed-out waffles but are crispy like a taco salad shell. The meat (in this case, chorizo), was buried inside with the veggies loaded on top. 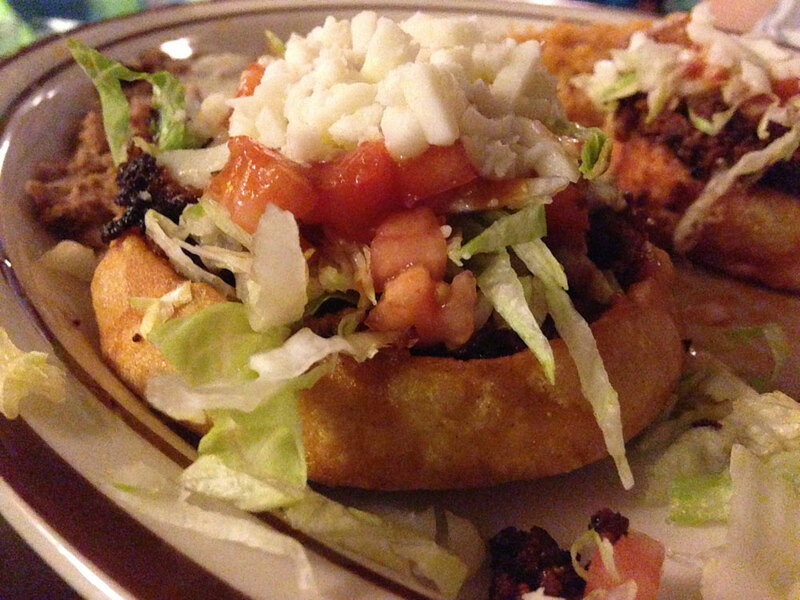 It was close to a taco, but the sopes were heavier with more corn flavor. And the chorizo added all of the spice needed to make it a perfect dish. We had really hoped to finish our meal with some fried ice cream, but neither of us had any room for dessert so we asked for our check—just under $30 for the two of us. Three years ago, I walked out of La Cocina disappointed. This trip to Tlacuani made up for it and more.